Pop Culture Safari! : Review: "Aquaman: The Search for Mera"
Review: "Aquaman: The Search for Mera"
Plots that continued over multiple issues were a rare thing in DC Comics of the 1960s. But as the publisher took on younger creators and began competing with Marvel more an older, more sophisticated readership, serial storytelling became more and more prominent. 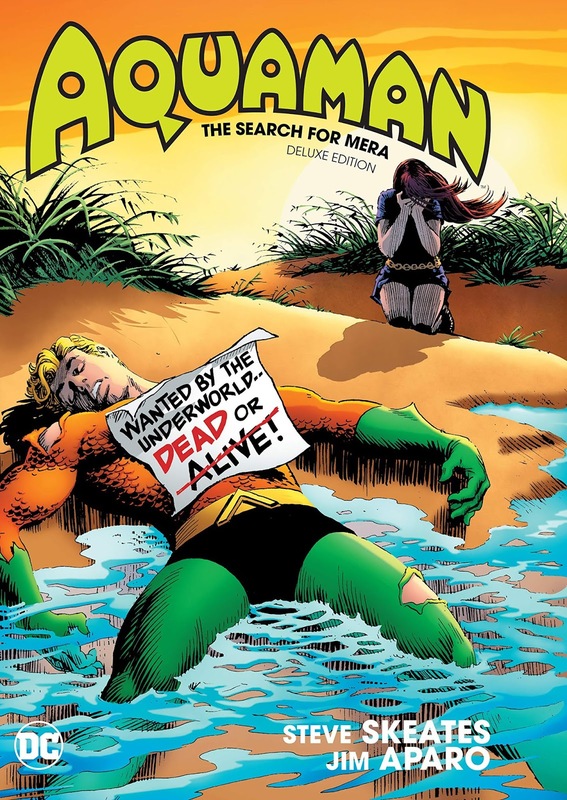 This book, which collects a story told over nine issues of Aquaman published in 1968 and 1969, is an early example. The plot is pretty straightforward - Aquaman's wife, Mera, is mysteriously abducted - and character development, as was typical of DC at the time, is minimal. But it's still entertaining thanks to the excellent pacing and storytelling of writer Steve Skeates and then-new Aquaman artist Jim Aparo. Skeates keeps the suspense going and develops new challenges, include a scuffle with Black Manta and a forced battle between Aquaman and his sidekick, Aqualad, during each chapter of the Sea King's quest. There's also some palace intrigue involving the aide Aquaman leaves in charge of his kingdom while he's away. Aparo's art, as would be expected, is excellent. His line is somewhat softer and his characters' features less angular than his later art of the 1970s and early 1980s, but still distinctively his own. The underwater landscapes are imaginative and beautifully rendered, and the action scenes intense and dynamic. Aparo uses his trademark diagonal panels to speed up the pacing of the story when warranted. Even early on during his tenure at DC, his mastery of the form is evident. For fans of Aparo and the Bronze-Age Aquaman, this collection is a must and, amazingly, it's never been collected before. Younger readers may enjoy it, too, as there's nothing too scary going on here. They should be warned, though, that this isn't the bare-chested,underwater barbarian of the recent Aquaman movie, but the blond-haired, orange-suited guy who rides a seahorse. The Real Aquaman, as I like to call him. The hardcover is worth springing for, in my opinion, for Aparo's nicely reproduced art, alone. All of Nick Cardy's excellent cover art is also included and the color reconstruction throughout is beautiful.